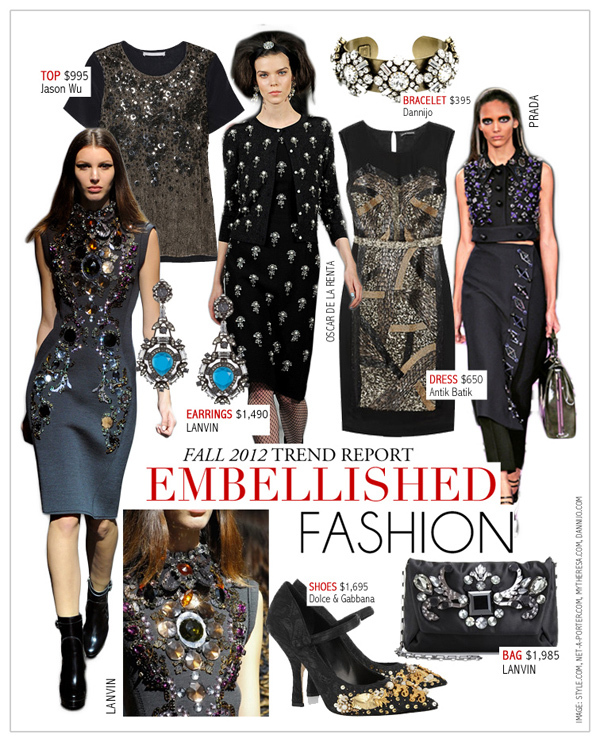 From rock-candy crystals to beads and sequins; embellishments hit up the runway this season. This trend has certainly made the designers pushed it to the limit that they have gone wild with over-the-top decorations this Fall 2012. The key is simply, nothing that is too much. Congratulations on getting a new fashion! It looks very nice.